What are your favorite out-of-this-world flicks? 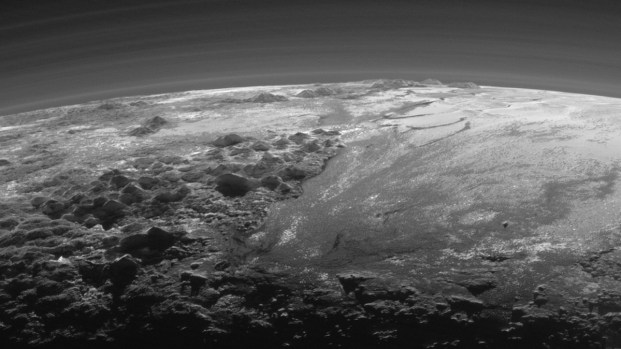 Space exploration – and science fiction movies – have come a long way since 1902's "A Trip to the Moon." 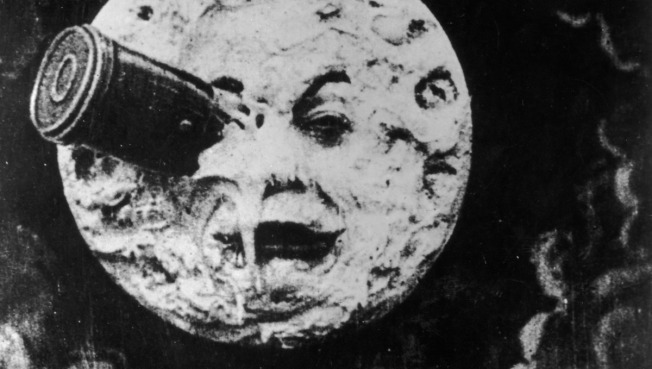 The film barely started to roll on the movie business when the world was treated in 1902 to the first outer space flick: France’s “A Trip to the Moon,” which famously featured a moon none-to-happy to get slammed in the eye by a rocket ship. The age-old question of what's out there, of course, began fueling imaginations long before Neil Armstrong took his giant leap for mankind on July 20, 1969 – think cave dwellers pointing up and grunting. But the moon landing and subsequent peeks into the universe only have increased our fascination with space – along with a sci-fi movie output buoyed by the special-effects revolution. Some of the best space movies are ones the fiction writers couldn’t make up, such as Ron Howard’s gripping “Apollo 13,” and “The Right Stuff,” based on Tom Wolfe’s masterful book about the Mercury 7. The final frontier also has given us unforgettable characters, from real-life heroes like Jim Lovell and his crew to Captain Kirk and Charlton Heston’s Taylor, the astronaut who makes a difficult discovery in “Planet of the Apes” (Thomas Wolfe was right – you can’t go home again). So as much of the world spends this week revisiting the moon landing footage from 40 years ago and mulling where space exploration is headed, we pose a couple of questions: What are your favorite space-themed flicks and why? Who are your favorite characters from out-of-this-world films? Use the comments section below to tell us – or face the wrath of Khan.